People spend a lot of time outside: traveling, shopping, going out. For those living in big cities – even getting from one place to the next one can take hours being out and heavily exposed to DOOH. Due to accelerating technological developments within the industry, out-of-home advertising has shown impressive growth on all fronts over the past years. It is a multi-billion dollar a year industry that is projected to be further growing. That is why DOOH Marketing is becoming more innovative, creative and agile. Whenever you would need an example of greatness, thinks DOOH Mecca, think Times Square.Here are 5 Tips on How to Improve Your DOOH Marketing to keep on your radar. The QR codes, Near Field Communication modules, AR or Beacons will help you engage more of your on-to-go customer base and drive them to the POS. Integration of mobile and OOH is a great way for a) understanding the success of the ad campaigns and b) one of the best ways to study customer behavior to beef-up the future campaigns with right massaging. Additionally, mobile and OOH integration marketing campaigns are more effective for sales because they tend to be more personalized and thus way more memorable. 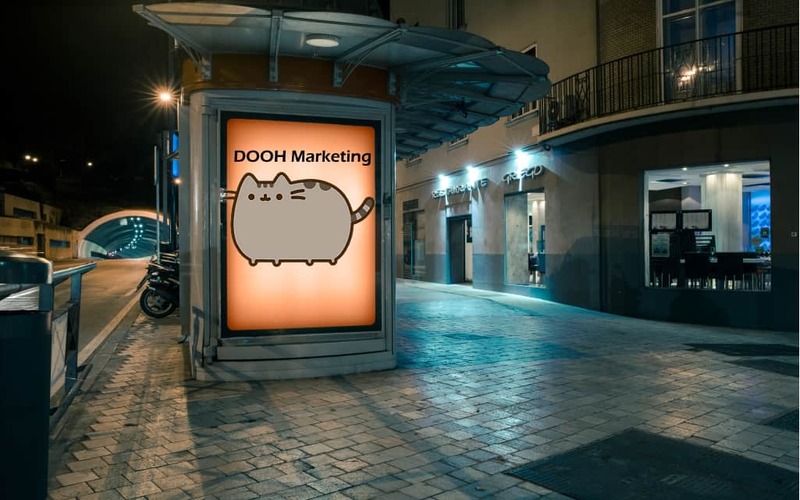 Creative optimization is what the main focus of DOOH Marketing will be in 2019. We will see less of the traditional OOH approach and move towards the creative. Last year we have already witnessed the rise of the data-based OOH display ideas. Behavioral science and ability to use mobile to track footfall in proximity to OOH sites to deliver campaigns is something brands should be using this year to improve their DOOH Marketing. We are going to see personalized campaigns fully based on data, such as location, month, time of the day, weather, major holidays, neighborhoods, surrounding locations, etc. We strongly urge everyone to follow the trend. This is an advanced and sophisticated way to reach your audience. As DOOH advertising increases in prominence across multiple locations worldwide, expect to find your company in need of DOOH specialists in different areas. Obviously, advanced digital signage partner is a priority. Research the market and look for a software development partner that can keep up with the market demands. Cutting-edge tech, full content control within seconds at any given time, intelligent algorithms, user-friendly easily operable software and staying on top of trends is what you need in digital signage software provider. Digital signage Kitcast offers great DS software is the one that works for us and is designed to grab attention. Another thing to look for is the networks that are appearing in specific locations to target the relevant audience. When thinking of a place and considering DOOH deployment, allocate the place to target your consumer. The overall effectiveness of DOOH is now and further will be fuelled by strategic planning with location data and, ultimately, mean successful business outcomes and optimized ROI. Simply put: be where your audience is. Tip 4: Bring on the interactivity! The automation of DOOH sales with the use of computer programs is quickly mapping our path. Programmatic digital out-of-home advertising allows media buyer to easily access the network’s inventory and book the screens for the company, as well as the dates and/or time, according to set price and set characteristics. The exhausting negotiations between advertisers, agencies, media sellers, and the publishers arequickly becoming the thing of the past. That is why it’s the biggest tip on our list: go with DOOH automation.